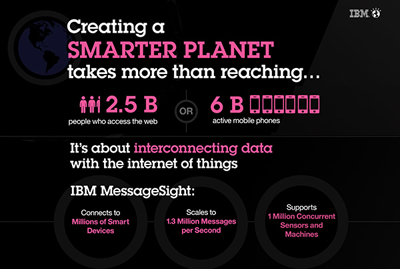 IBM outlined a significant step forward in its Smarter Planet strategy with the introduction of a "MessageSight" appliance that leverages Message Queuing Telemetry Transport (MQTT) protocol to handle the billions of mobile devices and sensors increasing being deployed in automobiles, traffic management systems, smart buildings and household appliances. IBM said its MessageSight appliance is capable of supporting one million concurrent sensors or smart devices and can scale up to thirteen million messages per second. IBM MessageSight is designed to complement and extend the IBM MobileFirst offerings, which is a collection of mobile enterprise software, services, cloud and analytics capabilities that help a corporation design, deploy, secure and manage mobile strategies and apps. MQTT was recently proposed to become an OASIS standard. It provides a lightweight messaging transport for communication in machine to machine (M2M) and mobile environments. IBM said MQTT is ideal for small, low-power sensors with low communications bandwidth capabilities. "When we launched our Smarter Planet strategy nearly five years ago, our strategic belief was that the world was going to be profoundly changed as it became more instrumented, interconnected and intelligent. IBM MessageSight is a major technological step forward in continuing that strategy," said Marie Wieck, general manager, WebSphere, IBM. "Until now, no technology has been able to handle this volume of messages and devices. What's even more exciting is that this only scratches the surface of what's to come as we continue down this path of a Smarter Planet." "To realize the vision of a Smarter Planet, we must first enable the universe of instrumented sensors, devices and machines to communicate more efficiently while sharing, managing and integrating large volumes of data at a rate much faster than ever before," said Bob S. Johnson, director of development for Sprint's Velocity Program. "We have been testing IBM MessageSight for some initial projects and are excited about the capabilities that it could help us deliver to the vehicle and beyond." 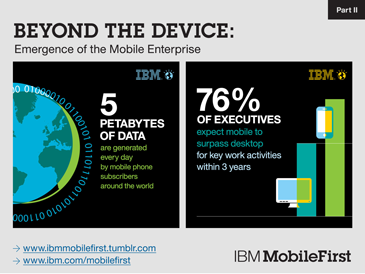 IBM also announced new mobile analytics capabilities and cloud services for its MobileFirst portfolio, including geo-location services for developers. Geo-location triggers can be used to extend applications to take contextual action based on a user's location to provide personalized service. Additionally, newly integrated mobile app testing capabilities enable organizations to improve app quality while reducing the effort needed to test across different mobile platforms. IBM's new cloud services includes a new mobile marketing capability for creating digital passes for employees in Apple's Passbook. Accessed through the cloud, organizations can quickly design and issue passes for loyalty, events, ticketing, payments and more without having to purchase on-premise development tools. 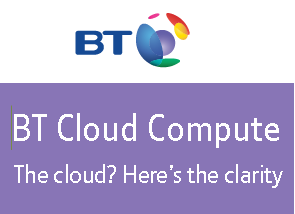 BT announced the international launch of its Cloud Compute service, offering "pay as you go" cloud pricing and consistent levels of quality, security and service from BT. BT Cloud Compute will be hosted in more than 45 data centers around the globe and managed by customers through a self-service dashboard. BT said its service will help CIOs meet their stringent compliance requirements and local law and regulatory obligations by letting them decide exactly where they want their sensitive data to be hosted. Its cloud infrastructure uses industry standard secure data centers located in Brazil, Colombia, US, UK, Spain, Benelux, France, Italy, Singapore and Hong Kong and will soon be in Germany, China, India, Argentina and Mexico. BT also said its Cloud Compute differentiates itself from run-of-the-mill cloud offerings by being self-healing and resilient, bringing customers an expected service level of 99.95%. Hybrid capabilities are also supported. 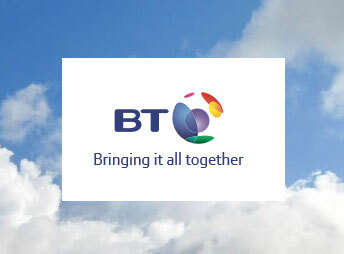 Neil Sutton, Vice President, Global Portfolio, BT Global Services, said: “As a company, we are serious about Cloud. We invest millions every year to regularly refresh, update and evolve our datacentre infrastructure and our service to our customers. Cloud is about more than technology; it’s about the service and the possibilities it can enable locally and globally in a reliable, trusted and assured way, helping CIOs find answers to the unique questions their market and regulations demand. 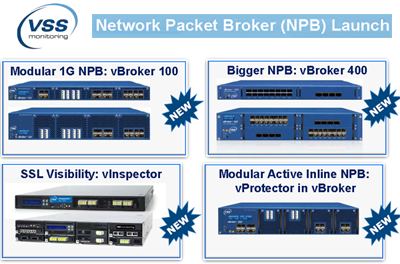 VSS Monitoring is rolling out significant additions and enhancements to its "vBroker" line of network packet brokers (NPBs), which enable network monitoring and security tools to gain traffic visibility. The VSS vBroker system extends the capacity, centralized link-layer visibility, and scalability of networks through advanced traffic filtering, packet optimization and offloading of unnecessary processing to increase tool capacity and efficiency. The product launch includes new vBroker 400 and vBroker 100 offerings that provide a high-density, modular form factor for customers requiring 1G, 10G, and 40G network speeds. At the high-end, vBroker 410 is a 1RU appliance with up to 32 ports and a throughput of 320G. It can handle up to 8x 40G and/or 32x 10G ports. The vBroker 420 is a 2RU appliance with up to 64 ports and a throughput of 640G. It can handle 16x 40G and/or 64x 10G ports. At the entry level, the new vBroker 100 products also provide an all-modular form factor for 1G and 10G network speeds, and include capabilities to meet the special requirements of video monitoring applications. VSS Monitoring said these new vBroker platforms allow customers to handle Big Data on their networks and enable greater visibility and operational performance from their network monitoring and security tools. The vBroker system is also supporting a new "vProtector" offering for intelligent traffic steering to active inline network security and acceleration appliances. The single integrated NPB system allows organizations to optimize active inline and passive monitoring tools with all-modular configurability. It offers user-configurable FailOpen/FailClosed per chassis module. In addiion, VSS Monitoring is introducing a "vInspector" appliance that decrypts encrypted SSL traffic to provide clear context to both active and passive out-of-band monitoring and security tools. The vInspector products include three platforms with decryption throughput from 1Gbps to 4Gbps. Huawei outlined a five-year business strategy to strengthen its role in the enterprise market by focusing on enterprise ICT solutions and being integrated with the global enterprise ecosystem, bringing faster, better and more Total Cost of Ownership (TCO) saving ICT products and solutions to customers. Huawei Enterprise's sales revenue are expected to reach US$2.7 billion in 2013. The company is targeting sales revenue of US$10 billion by 2017. 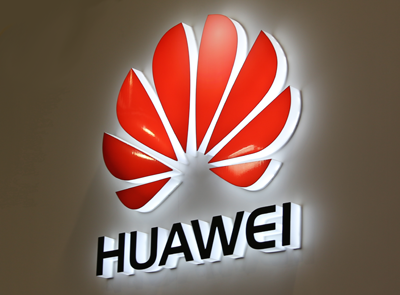 As of 2012, Huawei has established partnerships with more than 3,500 channel partners; this number is expected to reach 5,400 by the end of 2013. "With significant growth capacity, the enterprise market is a core element of Huawei's overall strategic development plans. The Convergence of ICT has brought about great opportunities for Huawei to contribute to the evolution of this market," said Mr. William Xu, CEO of Huawei Enterprise Business Group. GENBAND has selected Radisys' Software Media Resource Function (MRF) to provide the IP media processing for the GENBAND EXPERiUS application server and CONTiNUUM call session controllers. Radisys and GENBAND collaborated to enable virtualized media processing to meet the growing demand for cloud-based deployments. By offering these software components in a virtualized cloud deployment model, GENBAND can provide its customers with flexible service offerings that they can quickly take to market. Radisys’ Software MRF is a fundamental element in an IP communications network, processing real-time audio and video media streams under the control of Application Servers in an IP Multimedia Subsystem (IMS) environment. Radisys’ Software MRF provides extensive, high capacity IP audio and media processing capabilities, including simple conference mixing, messaging and IVR feature control for the Unified Communications needs of GENBAND’s EXPERiUS application server, while supporting multimedia network announcements, digit collection and lawful intercept for the CONTiNUUM call session controllers. 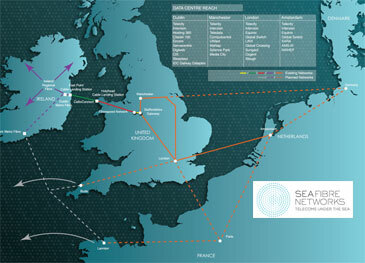 Sea Fibre Networks (SFN) announced an expansion of its C-Fibre connectivity from the greater Dublin area to Paris, via London. The carrier said it is seeing demand for high capacity bandwidth and low latency connectivity to Paris being largely driven by data centers. Interoute announced the significant expansion of its Ghent data centre, which can now accommodate up to 8000 servers for hosting and colocation. The company said this state-of-the-art in Belgium will help its VPN and colocation business, which is already being used by the likes of Domo, Van de Velde and Eandis the Flemish natural gas and electricity distributor. The Ghent Data Centre is directly connected to other Interoute Data Centres including facilities in Amsterdam, London, Paris and Frankfurt through Interoute’s pan-European network. Disaster recovery and business continuity are also incorporated, with the ability to direct services to both the Interoute Brussels and Oostkamp Point of Presence (PoP) data centres if required. NTT Communications will begin offering data center services in Russia via IXcellerate’s Moscow One carrier-neutral data center in Moscow, beginning with colocation services in May. 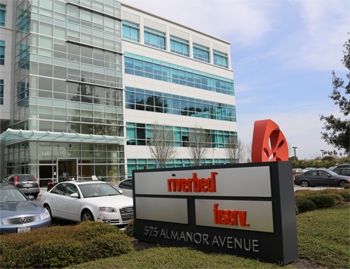 IXcellerate’s newly completed facility offers premium enterprise-class data center services. NTT Com Russia will integrate and expand its network, cloud and hosting services in the Russian market via this facility.